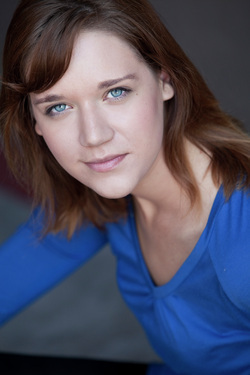 Lauren Diestelkamp was born in the heart of Texas in 1990. She soon moved to a small town in northern Colorado; she attended Fort Collins High School where she was the lead in several plays as well as student directing a one-act from Harold Pinter's "Other Places." Acting had always been her lifelong dream with her sights set on Hollywood. Immediately after graduating highschool Lauren was accepted into the prestigious American Academy of Dramatic Arts two year conservatory program. Her favorite classes at the Academy have included stage combat, advanced Shakespeare, camera technique, dialects, and scene study. Lauren graduated the Academy in May of 2010 and was accepted into the 3rd year company program on a Princess Grace Kelly scholarship. Lauren's fire for acting is not a mere house fire, but a forest fire; her passion is deep and apparent in the hard work and risk she puts into every character. Besides acting, Lauren also has a "passion for fashion" and religiously reads "Vogue" and "Glamour"; she worked as the costume designer on an upcoming SAG webseries. Lauren is described as seeming to be from a different era with a timeless quality about her.